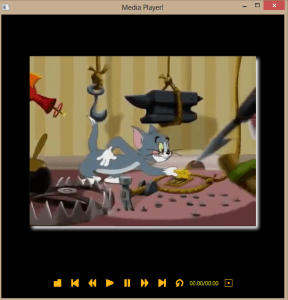 In my previous article “How to write a Media Player in JavaFX using NetBeans IDE – Part 1 “ I showed you how to to create Media Player where in this post I am going to show you how to add all the functionality into it. To start we have to once again modify the start , therefore replace the start with the following lines of code. This modification will allow you to add all the functionality to the buttons and convert the Media player to the NetBeans plugin in the future. Press Alt+Shift+F on your keyboard to format the code in NetBeans. The updateValues and formatTime methods was taken from the Oracle tutorial: “3 Controlling Media Playback” which can be found here. Integrating PDF to HTML5 conversion into NetBeans platform – WebView and JavaFx clients. I hope you found this guide useful, let us know what you think. Hi, It could be because you haven’t downloaded any media or the directory path isn’t pointing to the place where the media is being kept? Try checking these things and letting me know if the problem still persists. Thank you. I’m a beginner at JavaFX. Sir, this is my whole code. But it is not working. It keep on throwing Exception. Please correct my mistakes and let me know ASAP. Thank You. Great Job! Did you notice the bug in the oracle code for formatTime? It doesn’t work right if the movie is over an hour long. Wonderful Bugs. Wonderful Bugs! Yes I have gone stark raving mad. Here is a fix by the way……..